The United States has sought tougher rules on what percentage of a vehicle's components need to be built in the NAFTA region to avoid tariffs, as well as demanding that a certain number of cars and trucks be made in factories paying at least US$16 an hour. WASHINGTON -- Mexico's Economy Minister Ildefonso Guajardo said the country was getting close to overcoming sticking points with the United States over the renegotiation of the North American Free Trade Agreement (NAFTA). Asked as he arrived for Friday's talks in Washington if he could finish the U.S.-Mexico issues on Friday, Guajardo said "I don't think today but we are very close." The bilateral issues the two countries are hammering out include what percentage of auto industry components need to be made in North America to avoid tariffs, and how many cars and trucks need to be made in factories paying higher wages. The U.S.-Mexico NAFTA talks resumed three weeks ago, without Canada, after negotiations involving all three members of one of the world's largest trade blocs stalled in June. Guajardo on Thursday said his team was working hard to strike a deal with the United States on new rules for the auto industry, which could pave the way for Canada to rejoin talks to revamp the North American Free Trade Agreement. The U.S.-Mexico NAFTA talks resumed three weeks ago, without Canada at the table, after negotiations involving all three members of one of the world's largest trade blocs stalled in June. After a second day of meetings with U.S. Trade Representative Robert Lighthizer in Washington, Mexican Economy Minister Ildefonso Guajardo said talks were "advancing" but that it was not clear how long it would take to settle U.S.-Mexico issues before Canada would come back to talks. "We keep working, we are advancing and progressing with various issues, this morning we covered a good number of them," Guajardo said Thursday. 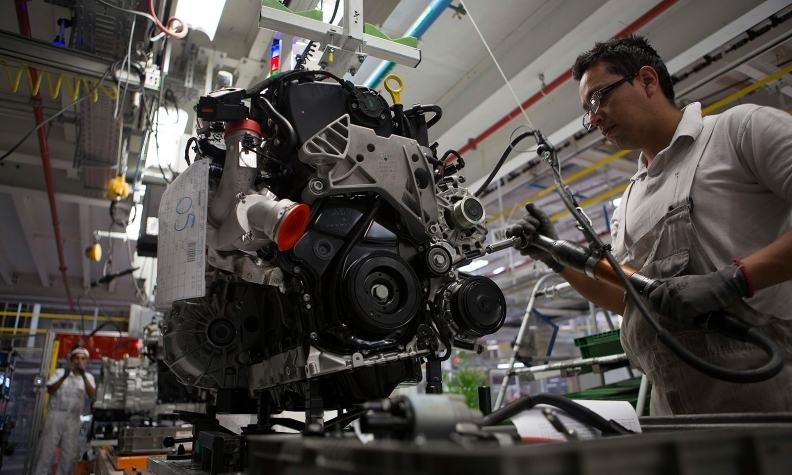 Mexico and Washington have been discussing rules for the automotive sector, which has been a major point of contention between the two countries. Asked about the discussion on autos on his way out of Lighthizer's office, Guajardo said "we are doing our best to do it as fast as possible," adding that he would remain in Washington on Friday. Before entering the meeting with Lighthizer, Guajardo was asked by reporters whether Canada would take part next week in the talks, and he said "possibly." "But we have to make sure that the U.S.-Mexico bilaterals (are) done," he said. Guajardo was accompanied on Thursday by Mexico's Foreign Minister Luis Videgaray and Mexican President-elect Andres Manuel Lopez Obrador's pick for chief NAFTA negotiator, Jesus Seade. Asked if talks would conclude this week, Seade said: "We are advancing well, but there are a lot of things to review ... It is not clear if we will finish this week or the next." A U.S.-proposed so-called sunset clause that would kill a NAFTA deal unless it is renegotiated every five years has been another major stumbling block in the talks. Guajardo said negotiators were leaving some issues for last and that the sunset clause, which was "highly complex," had not yet been touched. Canada could soon be returning to the NAFTA talks as the U.S. and Mexico approach agreement on a deal over cars, one of Canada’s top diplomats said Thursday. “If they can resolve their differences on that, then I think we can move ahead and have the three of us talk about some of the other issues that affect all of us,” MacNaughton said on BNN Bloomberg television. While a quick, three-way NAFTA deal is still possible if all nations show flexibility, Canada still opposes U.S. proposals for a sunset clause on the agreement and still wants an independent dispute-resolution process, he said.